Âu Cơ is a vietnamese restaurant that has been serving tradition with a twist of innovation in Czech Republic. One could argue that a vietnamese restaurant requires nothing more than a brush script to be recognized as Asian cuisine. Which leads us to the problem: people don’t recognized Âu Cơ they simply know it’s Asian Food. To make it worst multiple well established Chinese restaurants are located in the surrounding area. 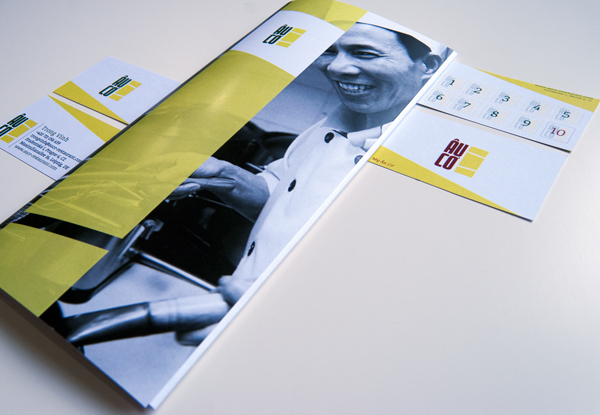 Therefore the logo needed to stand out from the Czech restaurants landscape without being perceived as “another” Asian Food. Âu Cơ means mountain and gives name to a legend, often known as the origin of Vietnamese Civilization. According to it, a fairy, Âu Cơ, from the mountains was surprised by a monster’s attack. But right before it Lạc Long Quân, a powerful dragon from the sea, saved Âu Cơ. It was the start of a magic love. Âu Cơ moved to the sea and shortly they were blessed with the birth of 100 children. But time has passed and eventually the fairy’s homesick got unbearable. Followed by the couple’s split. Half of the childreen stayed in the sea and the other half moved to the mountains. With the all this in mind my research kept me focused on vietnamese culture: the texture of rice landscapes, the unique tone of vietnamese bamboo and what it stands for, the vibrant imagery of Dong Ho paintings. A country with influences from west to east, from north to south, product of a troubled history but that shows today to be one of the most interesting and unique cultures. Mr. Vinh the manager of the restaurant, with his straightforward attitude, knows it and ever day he tries to honor his culture yet while taking new risks, winning new opportunities. The restaurant reflects exactly this. A clean place without ornaments. Where the pale green Vietnamese Bamboo welcomes you at the entrance and the Dong Ho paintings are placed carefully in the royal yellow alike bright walls. The color palette was found by the match of this physical place and with Vietnamese natural and cultural landscape. No less then often the art and culture are deeply linked with the raw materials, nature. In the case of Dong Ho painting it tell us a little bit about the past with its satiric tales and with its technique by using the main vietnamese raw materials to compound the all the colours. Dazzled already I strived for a strategy to communicate: Âu Cơ as the vietnamese restaurant: physical localization; reference to the country ambience and its symbols.